Vicenza has already hosted the Corsa Rosa eight times. In 1983, Paolo Rosola won shortly after local rider Tullio Campagnolo died. This year, the race returns to remember this esteemed inventor of the quick-release and derailleur, 30 years after his death. Local Filippo Pozzato could escape and win the stage. Given it is late into the Giro, escapes are more likely, as sprinters’ teams are missing men or are riding less attentively. Leaving Caravaggio, just outside of Bergamo, the race passes Brescia, where it will finish on Sunday. 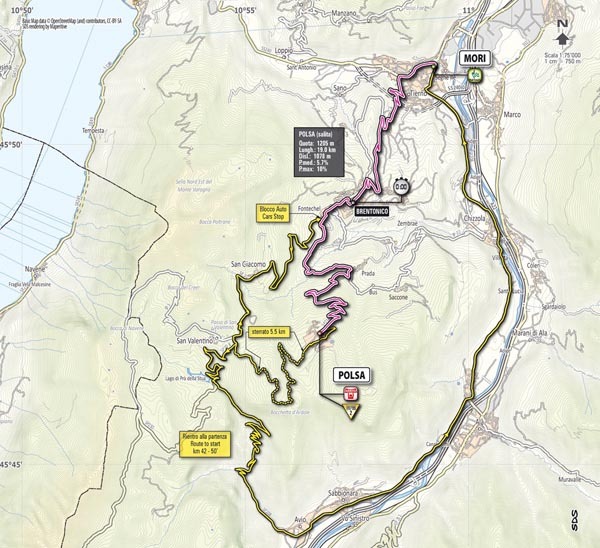 The road is straight and flat until the Crosara climb, with just 12.7km to race. Even if an early escape group is under control, the sprinters’ teams will have to deal with the odd wily rider on the climb. 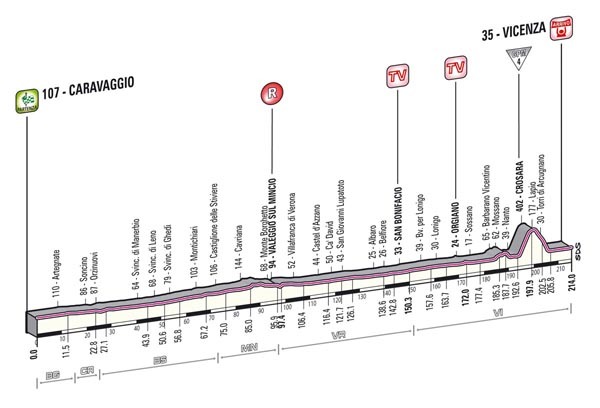 They can take comfort in knowing sprints are coming, as with Luca Guerra’s on the Giro’s first visit in 1932 and Mario Cipollini’s in the last in 1996. You cannot go wrong with a glass of wine in Vicenza. Try a wine from the Breganze growing area, such as the Torcolato or ‘Pasquale’. It is a sweet wine that is golden in colour. Since Vicenza’s foods are traditional basic plates, a glass of Torcolato is the perfect finisher.